1.Cut off breasts into cubes and marinate in a bowl along with squeezed lemon, clove of garlic and parsley, salt and pepper. 2. Then, cut the vegetables into squares the same size as the chicken pieces. 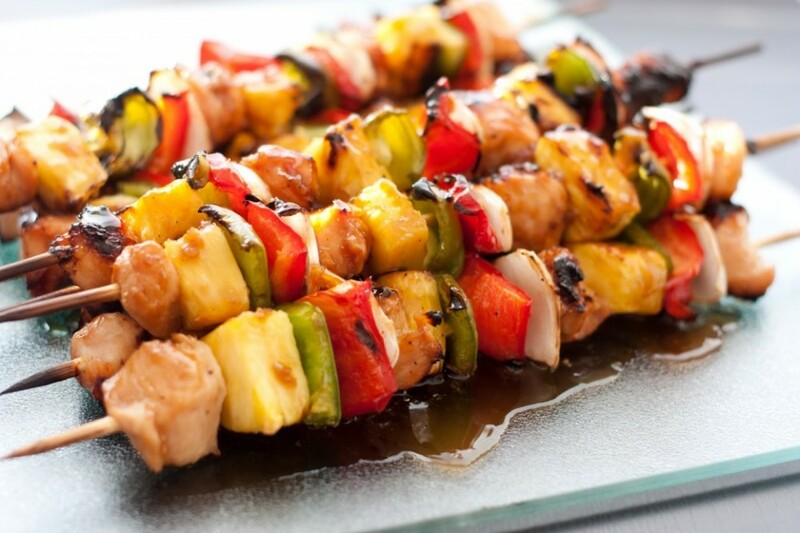 3. you may, mounted chicken skewers alternating with vegetables. Here are some typical foods and common things to eat in New Zealand.